Absolute minimum flow rate of 1073.050 Pump? 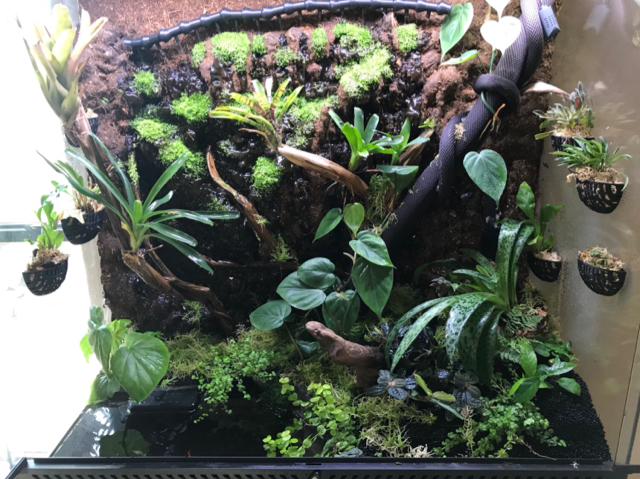 I am setting up a vivarium that will have a wet-dry filter and a small water fall in the display tank (about 4 feet of head above the filter). One of the main pumps I am looking at is the 1073.050. I like that it is a DC pump with controllable flow rate but I am concerned that it is much more pump than I need. What is the minimum flow rate that I can achieve? It is 290gph at 0ft of head but I would expect that would be just a trickle at 4ft as at 4ft full power of 790 is reduced to about 550, if we took that to be linear which I cannot say it is, it would be 50 gph, I suspect it is likely 0 and would need to be turned up a bit to get any flow. I would probably want no less than 100 gph through it though to keep the motor from overheating. OK, great, I think that should work. I am glad I went ahead and ordered one on sale last night. I went to install my 1073.05 pump today but don't see any inputs for Apex control. One of the main reasons I purchased this pump was that I thought I could control it with the 10V output of my Apex. Is this not the case? Yes and no, it is possible and older units without controller included an attachment for a cable. The newer units include a basic controller with no external output. It is possible to replace the controller with 7090.500 but it is not standard as the engineering assumption was the speed will be set and left alone and any connection is primarily a toy with no real purpose. I finally added water and started up the pump. I think it is the perfect size for what I am doing. Very cool, what do you plan to keep? 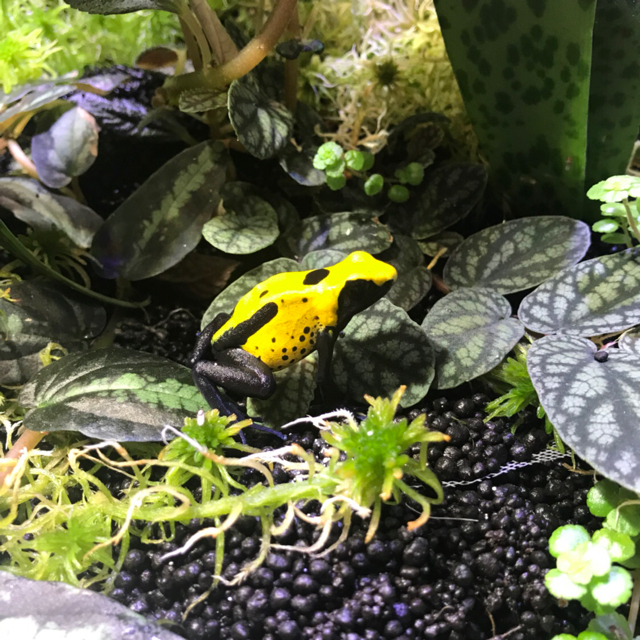 When I was a lot younger I had a roommate that kept dart frogs and we rigged up a system with a cheap ultrasonic humidifier from the drug store to fog it a few times a day and an Osmolator pump with a drip irrigation sprinkler head to make a brief rain once a day, it worked really well and with no standing water to potentially drown the frogs, the water was all under a plenum covered by sphagnum and soil. Dart frogs or milk tree frogs. I have not made up my mind yet. For now it is just plants and guppies! Last edited by gotfrogs; 06/06/2018 at 07:30 PM. My setup and pump are doing great.